We're getting ready to have some renovations done to our house and the word budget has been popping up a lot lately, so I thought it'd be fun to make a wish list of items that are just the opposite. 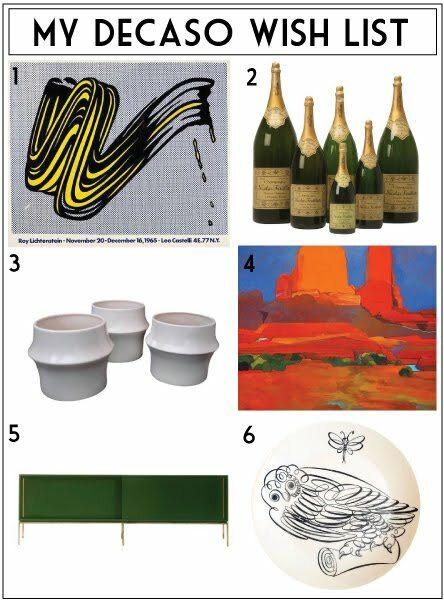 Yup, all of these items from DECASO are out of my budget, but as a fan of the arts, I still love to look at these beautiful antiques and designer pieces. It's worth a look if you're looking for something unique! Happy Friday, everyone! Cheers to the weekend! Can't wait to see your updates!